NEW YORK (Reuters) - A fire broke out at Tesla Inc's (TSLA.O) Gigafactory in Nevada's Tahoe-Reno Industrial Center late on Saturday but was contained by early Sunday and production had resumed, emergency officials and the company said. The factory produces Model 3 electric motors and battery packs, according to the electric carmaker's website. The company said there were no injuries in the fire. The Storey County Emergency Management department said the county's fire department responded to a reported fire at the factory on Saturday at about 10:12 p.m. PDT (0512 GMT) and the fire was suppressed by the sprinkler system and with the help of fire personnel. The scene of the fire was turned back over to Tesla for cleanup and repairs at about 2:00 a.m. PDT. on Sunday, the department's director, Joe Curtis, said in a statement. A Tesla spokesperson said employees had been evacuated as a precautionary measure, but there were no injuries and production began again on Sunday morning. The fire was in the cooling tube coating oven on the third floor of the factory, and it was quickly contained, the spokesperson said in a statement, adding the cause was under investigation. The spokesperson did not give details of any damage. 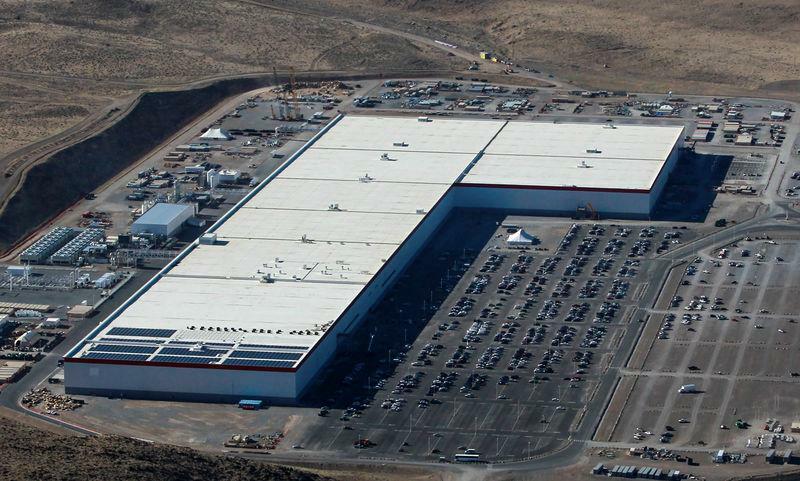 Saturday's fire was the latest fire at a Tesla factory. There was a minor fire last month on the grounds of the Tesla factory in California. In August, Tesla said it expects to produce 50,000 to 55,000 Model 3 sedans in the third quarter and said it expects to turn a profit in the second half of this year. The company has been trying to iron out production bumps after struggling to produce Model 3's and failing to meet several production deadlines.